Sometimes you need to take drastic measures so you can hit a financial goal, especially when you’re in Dave Ramsey’s baby steps 1 or 2. Your food/grocery budget is one area you might want to crush during this time, which is why I’ve put together this list of ideas for easy Dave Ramsey recipes. They might not be the most healthy foods you could choose, but when you’re focused on paying off debt, sometimes you just want yummy food that’s cheap and easy! That’s where this list comes in to play. When we were getting out of debt, it seems like I was always searching for new Dave Ramsey recipes and dinner ideas that would help us reach our goals. Another bonus of doing some strict recipe planning is that it ultimately saves time and money. A simple meal is quick to prepare almost any time, day or night, and going grocery shopping is quicker and easier, too. You might also choose to use a meal planning service like the one Dave mentions on his show, emeals ( <– this link takes you to a free 14-day trial for their Dave Ramsey “budget” meal plan). There’s a small fee for their service, but they save you money overall, so many people find that it’s worth it to give them a try. They’ll even have everything waiting for you at your local WalMart store for pick-up. No impulse shopping for you! That’s pretty cool. One reader also mentioned that she needed a way to keep her food warm for lunch at work, so she would feel less tempted to spend money going out to lunch. Would you believe that Crock Pot now makes a portable lunch warmer?! I thought that was genius! Have you seen them?! You can read about them here. I also recommend staying away from convenience foods and heavily processed foods. Chips and pop are not only super unhealthy, but they’re MAJOR budget busters. 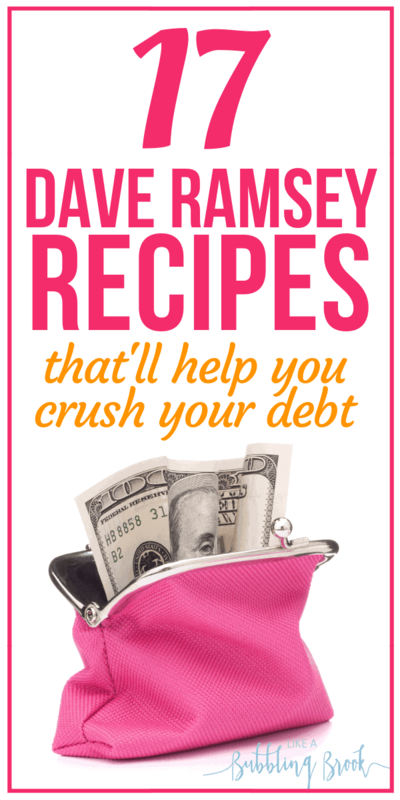 What are your favorite Dave Ramsey recipes? Let us know in the comments! *New to my site? I love to share ways to get out of debt, save more money, and make extra money from home. 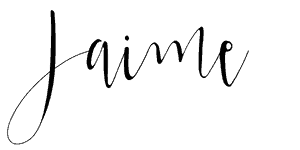 You can take a look at my recommendations page for products and web sites I use to do that! Personal Capital specializes in helping you with your investing rather than your budgeting. You can track your net worth, cash flow, investments, retirement planning, and more. Personal Capital pretty much picks up where budgeting apps has left off. They even offer a free version of their services! Check them out here.